You should know everything about Siri on Mac. 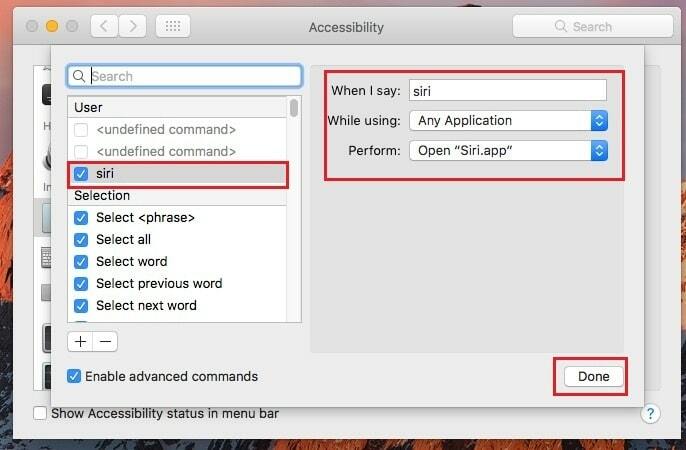 Apple Continuing Hey Siri improvement with New Type To Siri on MacOS High Sierra. it’s a first generation of Mac operating system available with built-in Siri. So that all Macs users who are works on MacOS Sierra & High Sierra definitely feeling new. But before, we already discussed the thread about to use Siri in macOS Sierra. Now today we’re going to demonstrate to activate Hands-free Siri on Mac. Apple’s macOS Sierra has integrated Siri that works as an intelligent personal assistant likewise iOS and WachOS of Apple. By default, you can summon Siri by pressing Shortcut Key to mean Command or through a Click on Siri icon. But a magic way to Enable Hey Siri on macOS Sierra, at a glance it’s seems mind blowing, even though, virtually it’s possible. 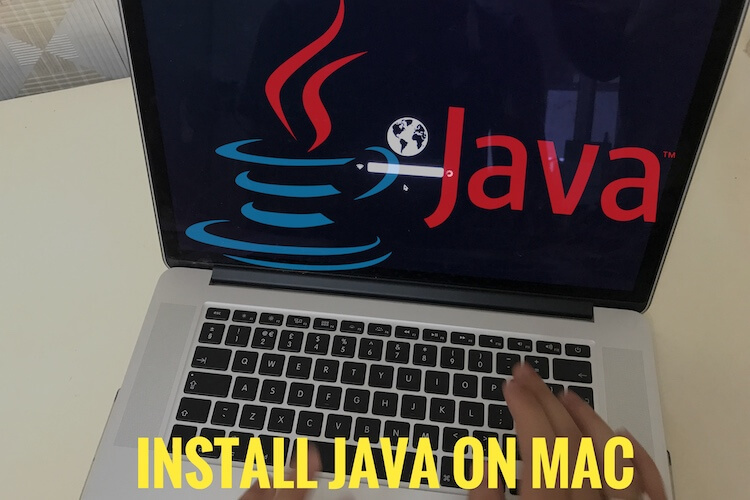 Let’s dive on following steps that will guide what to do to turn on hands-free Siri on MacBook Air, MacBook Pro, MacBook, iMac Or Mac Mini. 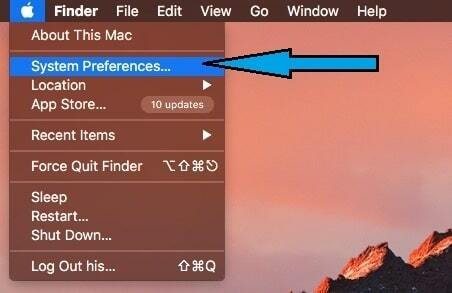 Bottom steps we tried in macOS Sierra and MacOS High Sierra and Working perfectly. Step 1. 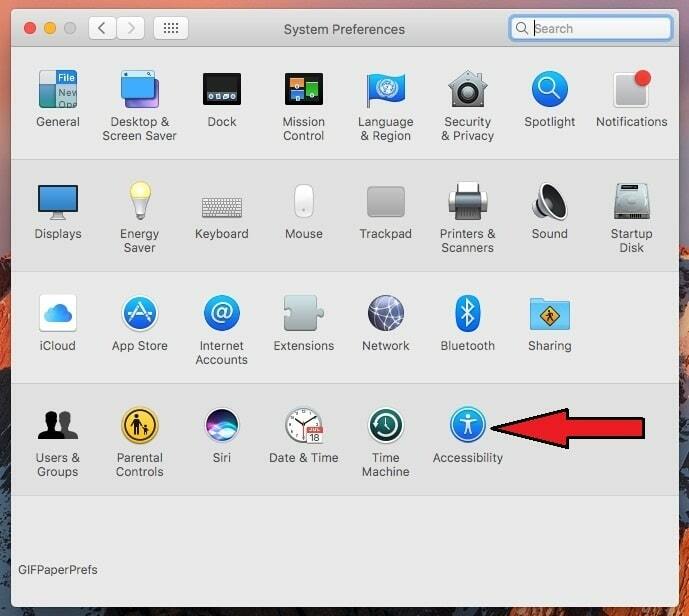 Click on Apple Logo on top Menu bar and Open up System Preferences on your Mac. Step 2. Then, Click on Accessibility. Step 3. Choose Dictation and do check mark Enable the dictation Keyboard Phrase. Now quite below in the field, replace any text and Enter the new text ‘’Hey’’. Step 5. Now make check mark Enable Advanced commands. Step 6. Hit ‘’+’’ button to add a new Command. Step 7. Now make changes as per below given instructions. 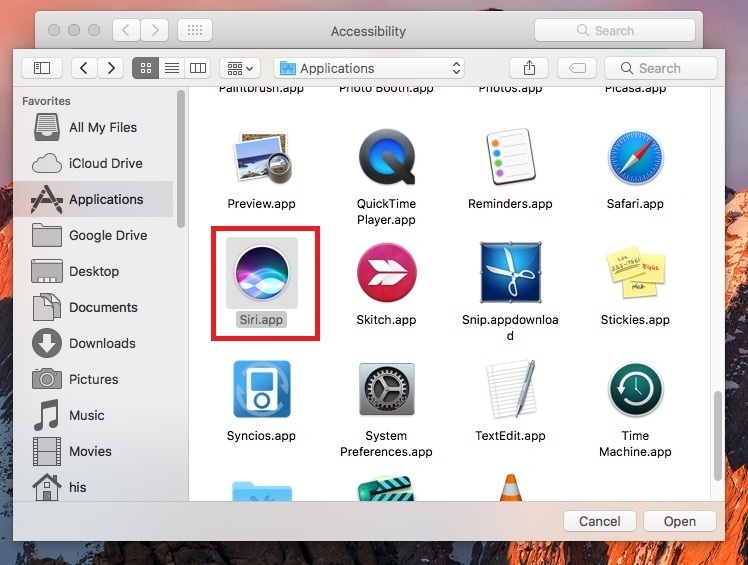 To getapp in Perform option follow Steps – Choose Open Finder Items… and select to open Siri – you can find it inside your Application folder. Instead of hey, you can also keep such as ‘’hello’’ keyword to summon Siri hands free using Dictation. 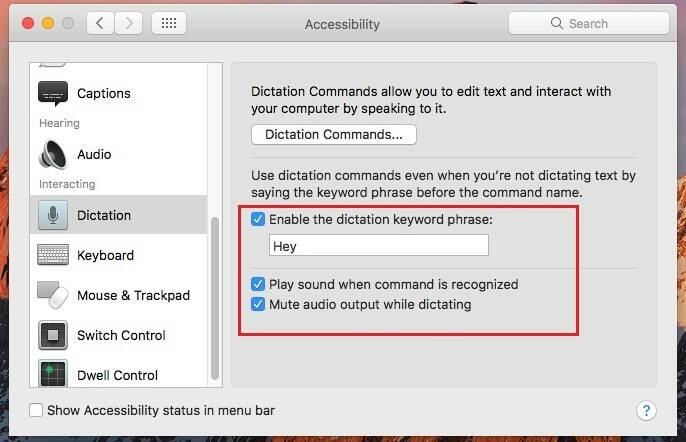 Means, It’s a customized command, reason behind differ keyword is that using ‘’hey’’’ command for Mac’s Siri, may be nearby Apple device Siri will also be happened activate. 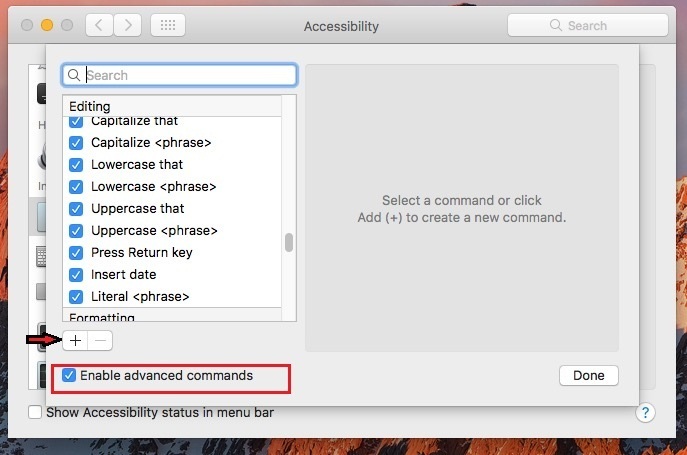 Hope, you got it and easily guided above tip to turn on/Enable Hey Siri on macOS Sierra. If you’ve any query meanwhile please send us a comment, we will reply you as soon as possible. To get more tips and tricks subscribe us our E-mail Alert.